The last reservation of this item will conclude on May 13. For rentals that require shipping or a pickup at a non-headquarter location, please select a later date for your arrival. Headquarter offices are the only locations that can accept a same-day reservation, as transit time is not calculated in this date. 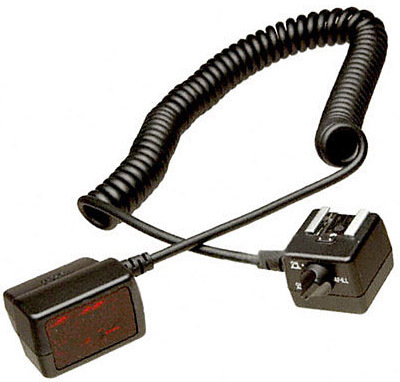 The Nikon SC-29 is an off-camera flash cord that provides full TTL control for Nikon Speedlites when used with Nikon SLR cameras which have the TTL hot flash shoe. 3' long when coiled, it expands to 9', and permits easy use of flash when the camera is mounted upon a bracket. In addition, the SC-29's AF Illuminator will also provide AF assistance to the camera in low-light conditions. This cord fully supports all advanced flash functions when used with the SB-900, SB-800 and SB-600 with an applicable camera. Some other improved features are: Posi-Lock (an improved locking switch) at both ends, and the cord on the camera shoe that now connects parallel to the camera.